Also, there's finally support for DD-WRT firmware on Linksys' WRT1900AC, WRT1200AC, and WRT1900ACS routers. As you and your family find yourselves increasingly using mobile devices—laptops, tablets, and smartphones—at home, you might discover that your Wi-Fi network isn’t the blanket of connectivity you once thought it was. As you move from one room to the other, you begin to encounter dead spots where you can’t reliably stream music or video. What Linksys is promising with this range extender is that you’ll be able to assign it the same SSID as your Wi-Fi router, and your devices will automatically switch to the source that’s generating the strongest signal in relation to where you’re at. The RE7000, which plugs into an AC outlet, promises to deliver throughput of 1733Mbps on the 5GHz frequency band (with 802.11ac clients) and 300Mbps on the 2.4GHz band (operating as an 802.11n device). 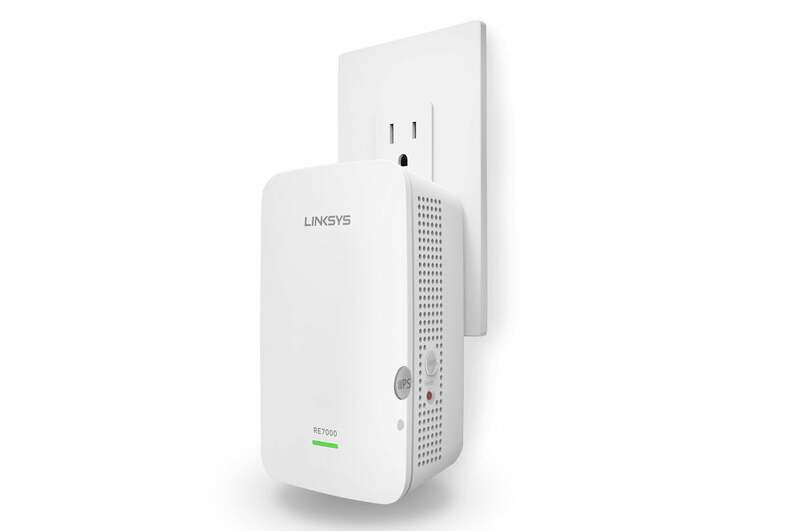 Using a technology Linksys calls Crossband, the range extender will use one frequency band to connect to the router, and the other to connect to the client. It’s also outfitted with a single gigabit ethernet port and can operate as a wireless access point when hardwired to your router. Unfortunately, we’ll have to wait until springtime to see the RE7000 in action. It will retail for $150 when it does become available. 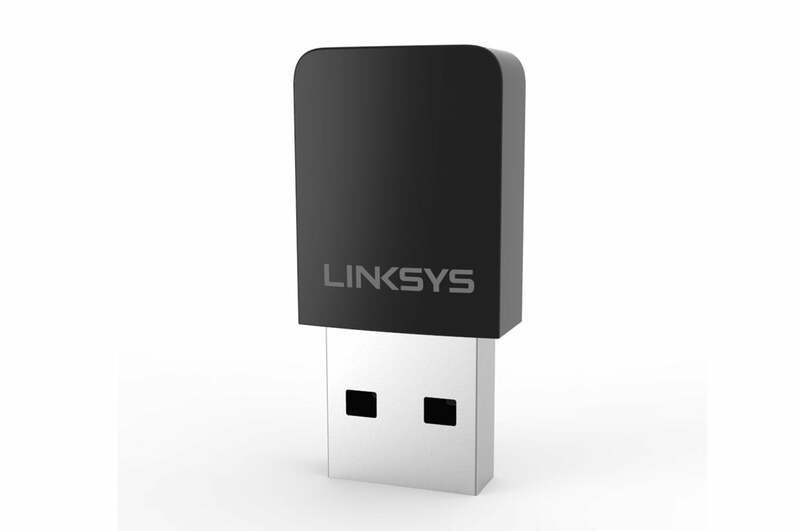 The Linksys WUSB6100M will enable your laptop to take advantage of your router’s MU-MIMO. Multi-user MIMO is a terrific concept. As we explained in this earlier story, it enables a router to support multiple clients simultaneously, where older single-user MIMO routers are forced to serve them round-robin style, dedicating a slice of time to each one while ignoring the others. If the time-sharing happens fast enough, you don’t notice it. But when you’re streaming music and video to multiple devices at the same time, the trick can break down. Nearly every new 802.11ac router supports MU-MIMO these days, but relatively few client devices do, and that can force the router to fall back to using the problematic SU-MIMO. To solve that problem, Linksys will soon bring out its WUSB6100M, a dual-band, MU-MIMO, USB 2.0 Wi-Fi adapter that can deliver throughput of up to 433Mbps to 802.11ac clients on the 5GHz band and up to 150Mbps to 802.11n clients on the 2.4GHz band (because bigger numbers sounds better, Linksys adds 433 to 150 and rounds up to 600). Here again, the new adapter won’t be available until the spring, when it will sell for $60. We’ve found tri-band routers to be more effective than MU-MIMO models, but the new Linksys EA9500 will support both features. The EA9500 will be powered by a 1.4GHz dual-core processor and it will have an 8-port gigabit switch. Linksys’s press materials don’t mention the number or type of USB ports the new router will have, or whether or not it will support e-SATA storage devices. 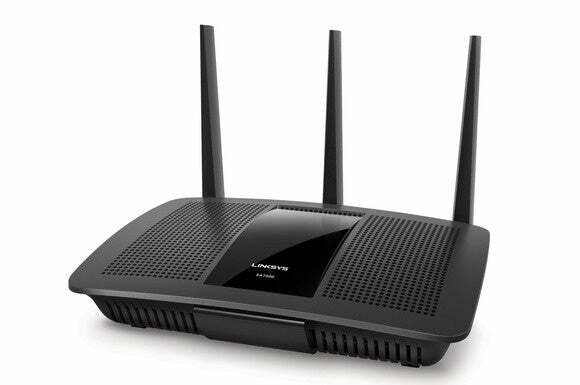 Linksys will be looking to fetch $400 for this router when it becomes available—this summer. If the EA9500 is too rich for your blood, you might find the EA7500 more to your liking. It’s a dual-band model that Linksys says will deliver up to 1300Mbps of throughput on its 5GHz 802.11ac network and up to 600Mbps on its 2.4GHz 802.11n network. It’s a Wave 2 router, like its pricier stablemate, which means it supports MU-MIMO, but it will include a more common 4-port gigabit switch. It will also be outfitted with one USB 3.0 port and one USB 2.0 port, so you’ll be able share both storage and a printer on your network. It will go for $200 when it goes on sale in February. It looks as though AC1900 is becoming the sweet spot in Wi-Fi routers. 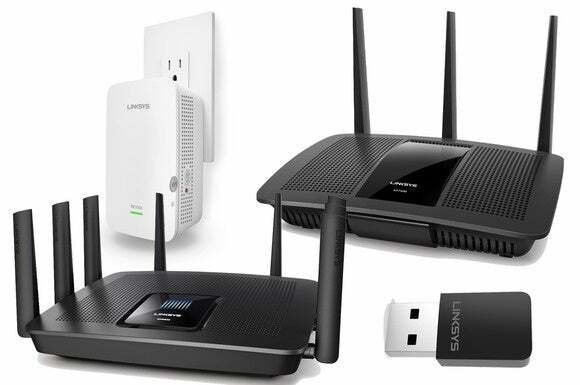 The Linksys EA7500 will fetch $200 when it becomes available in February. Linksys also announced official support for DD-WRT open-source alternative firmware on its WRT1900AC, WRT1200AC, and WRT1900ACS routers. DD-WRT isn't designed for the typical home-networking user, but router enthusiasts prize the alternative firmware for its ability to unlock capabilities in the underlying hardware that aren't exposed by the default factory firmware. For users who prefer a little more help managing their home networks, Linksys offers a free cloud-based router-management service called Linksys Smart Wi-Fi, available with late-model WRT and Smart Wi-Fi-series routers. You can log into your home network using a web browser on your PC or an app installed on your smartphone or tablet (Android and iOS devices) to grant a guest access to the Internet, prioritize individual devices so they get more bandwidth, and perform other tasks. Linksys plans to relaunch Linksys Smart Wi-Fi in the April timeframe, revamping its user interface and adding several new features. 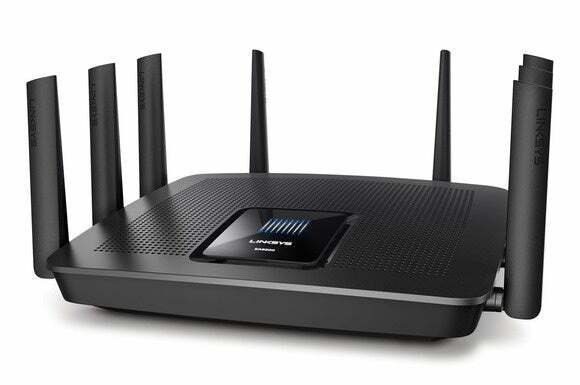 The new version, according to Linksys, will do more to leverage the firmware on the device against Linksys’s cloud infrastructure, to proactively inform the user when something with the router or the network goes wrong, and to suggest improvements in the network’s configuration. New Linksys hardware will feature a new user interface, and the company plans to go back and include the new UI in free firmware updates for older products. This story, "Linksys aims to take the hassle out of home networking with new flagship router, other gear" was originally published by TechHive.